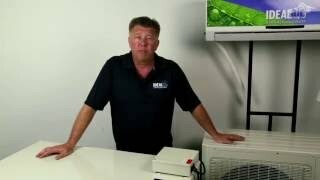 Michael McElravy (Mac) explains how to select the right air conditioning unit for your room. Use the Ideal-Air™ BTU calculator to determine the correct unit size for your space. Mac showcases a few different types of air conditioning units including portable units, mini-splits, and combination AC/dehumidifier units.